The mix of soft fabric and pebbled vinyl make the Brando a standout. Product Description Warmth and Contentment. 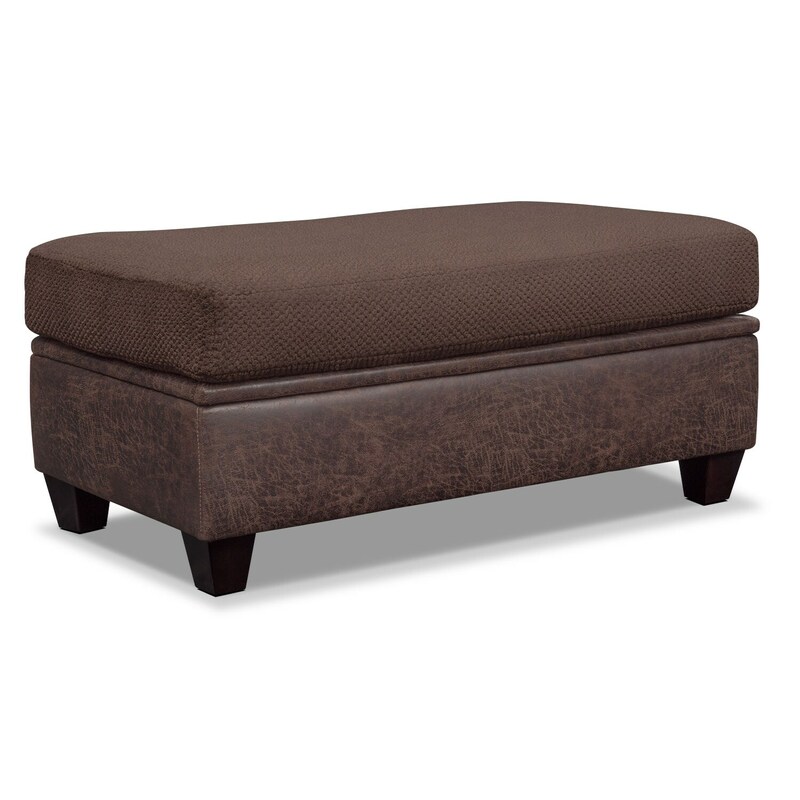 The contemporary Brando storage ottoman in rich, chocolate brown adds style to any living room décor with its contrasting textures and plush comfort. Featuring oversized, supportive cushioning covered in unbelievably soft upholstery, the base adds a touch of finesse with its leather-like texture. The relaxing cushion gives you the comfort you deserve, as the ottoman provides exceptional seating and storage. Unique Features: Provides additional seating and ample storage space. Fashionably tapered wedge feet give additional sophistication. Removable feet add ease in moving furniture without scratching floors. Cushions: Dacron-wrapped cushion with polyurethane foam ensure comfortable seating.